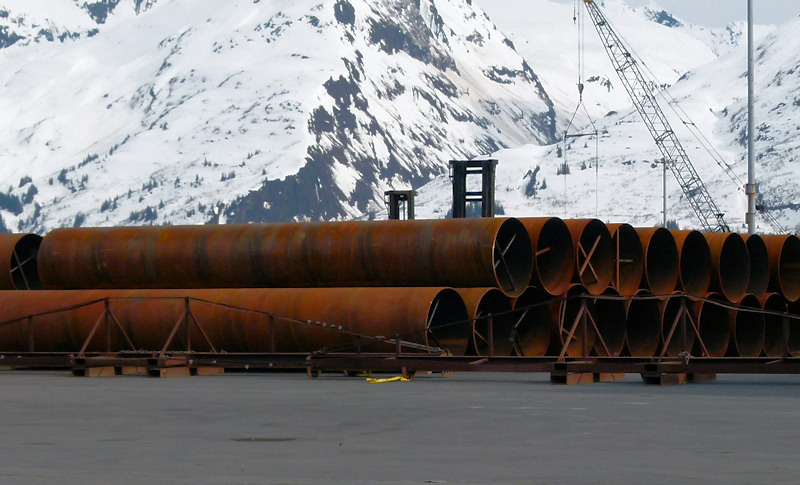 Here are some miscellaneous photos that Jack took a couple of years back at a marine dock in Valdez. He was there in May of 2012, hauling items for the railroad bridge that’s now finished (although there aren’t tracks leading to or away from it). 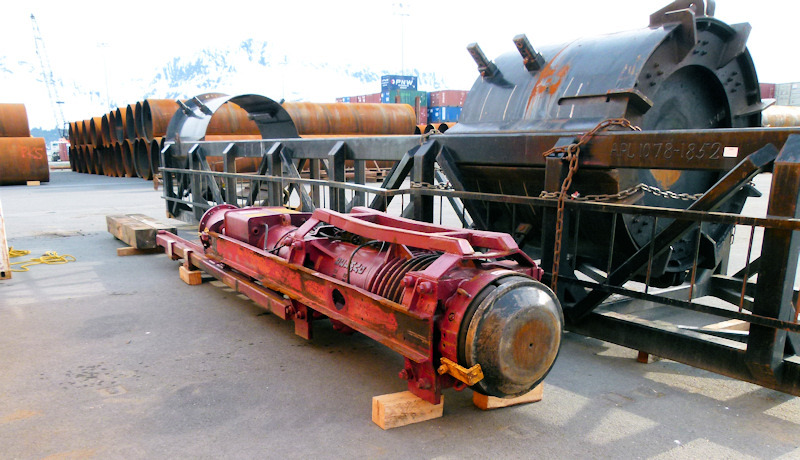 The above piece is part of the hammer used to drive pilings into the ground. For bridge foundations in this case. This is used to put pipe on so it can roll while being welded together. 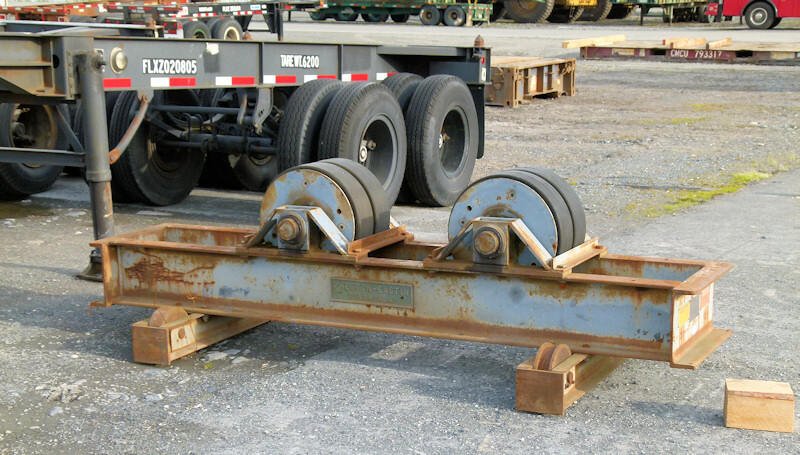 These are miscellaneous items used on the bridge job. Jack says this stands on end and the large circular piece drives down into the hole and onto a piling. This is the hammer that pounds a piling, Jack thinks it’s for 24 inch pipe. 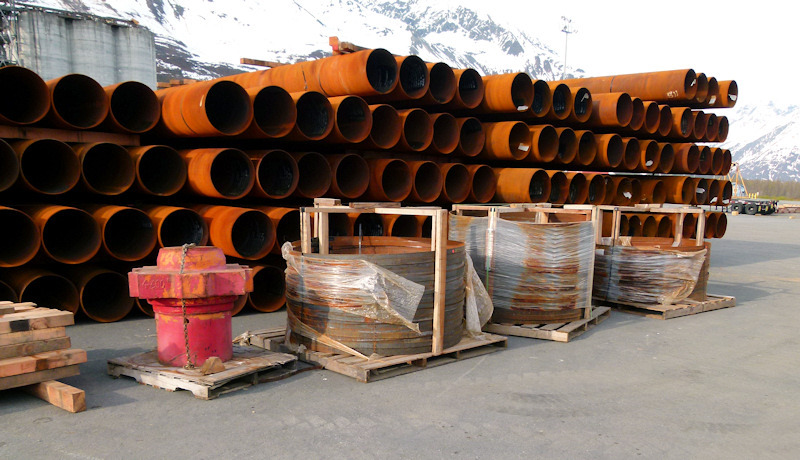 The large circular device in back should be for the large pipe in the far background. 24 inch pipe in back of some other items. 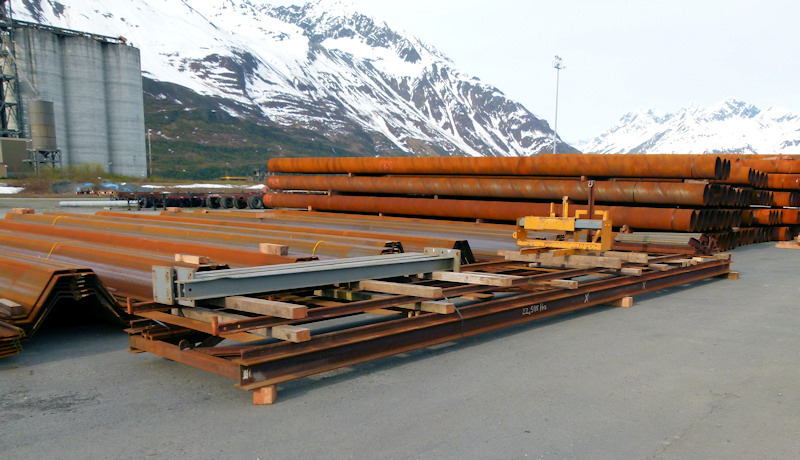 Sheet piling (which gets pounded into the ground to create an embankment) and miscellaneous steel items. 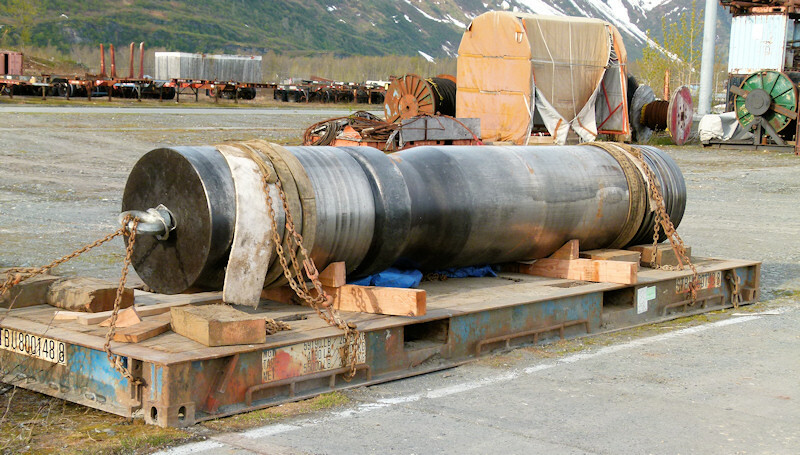 Six foot diameter pipe that most people can walk though without bending over. 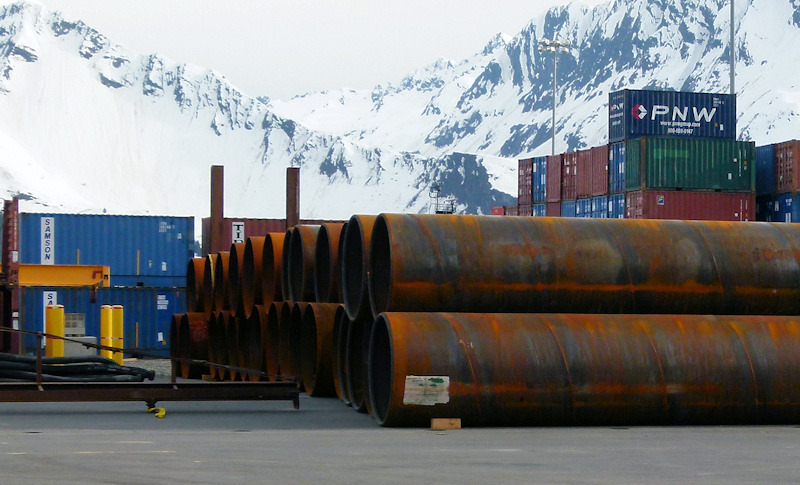 More six foot diameter pipe with shipping containers in the background. I must say this marine yard is a tad more attractive than most, surrounded by beautiful mountains and all!